When it comes to heavy duty steel formed bumpers, few companies have the history of excellence and reputation of quality that Hanson Offroad enjoys today. Made entirely here in the USA, you can be sure that all Hanson bumpers are crafted with care and are ready to take just about any punishment you can subject it to. Of course, when I heard that Hanson had released a brand new stubby front bumper with a stinger for the JK, I knew that it was something I had to see it. And, once I did, I knew right then and there that it was the bumper that was going to go on our Sunburst Orange JK.More than just a looker, the Hanson Stubby Front Stinger Bumper is built exceptionally well, offers real protection where it’s needed, provides maximum approach angles, comes with stout recovery points and to top it off, the ability for you to keep your factory fog lights. 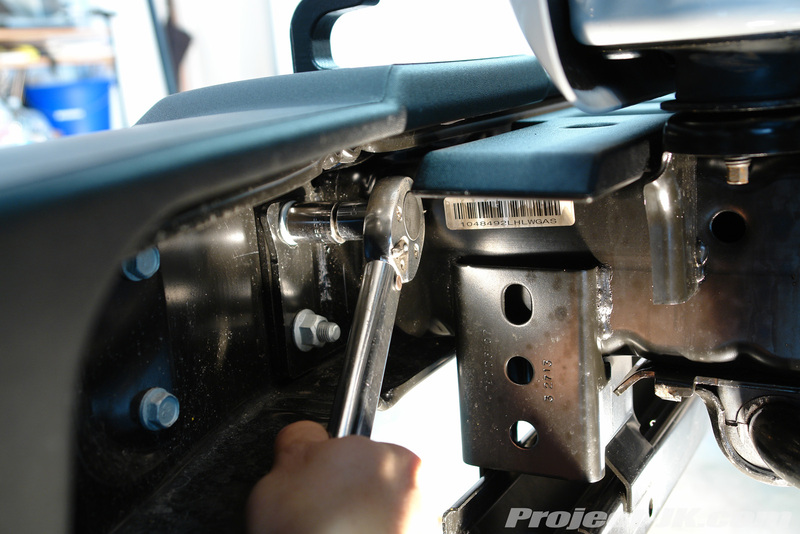 Installation is super easy and the write-up below will help you to install one on your Jeep JK Wrangler. 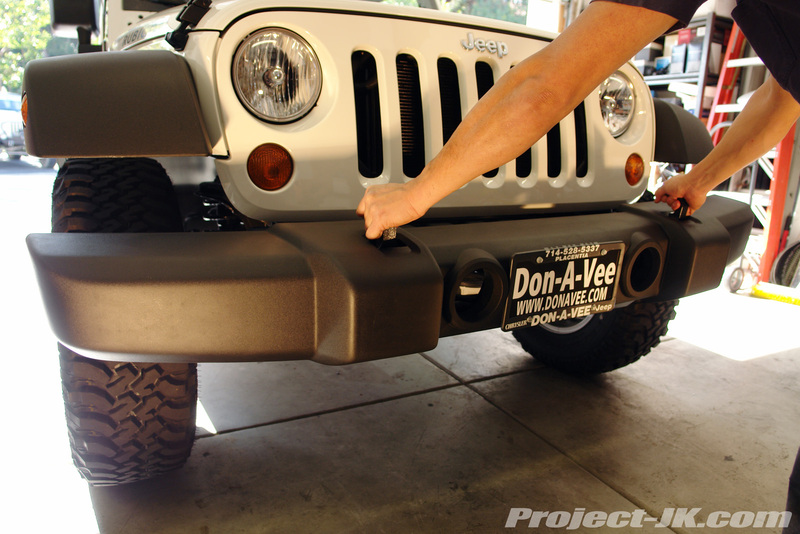 Here’s a shot of everything you should get with your new Hanson Stubby Front Stinger Bumper. 1. Begin the installation of your new Hanson Stubby Front Winch Bumper by unscrewing the 4 plastic screws securing the factory air dam to the bottom of your front bumper. A phillips screwdriver will be needed for this job. 12. 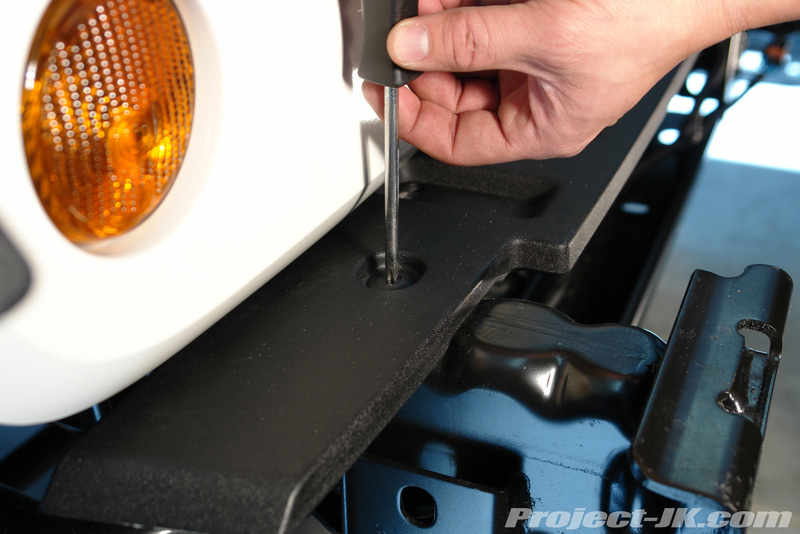 Again, if your Jeep JK Wrangler came equipped with factory fog lights, use a phillips screwdriver to remove the 4 screws securing them to the bumper. Then, pull the fog lights out and set them aside until you are ready to install them in your new Hanson Stubby Front Winch Bumper. 13. 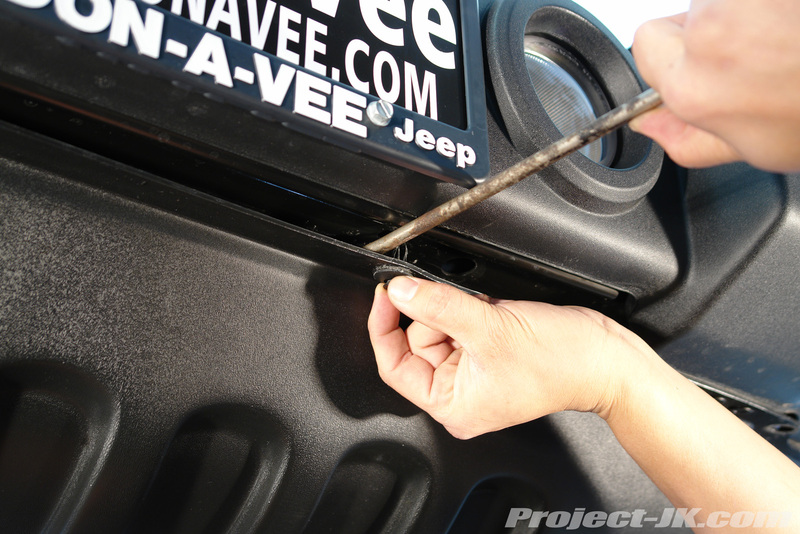 Carefully place your new Hanson Stubby Front Stinger Bumper on top of your Jeep JK Wrangler’s frame rails as shown. 14. 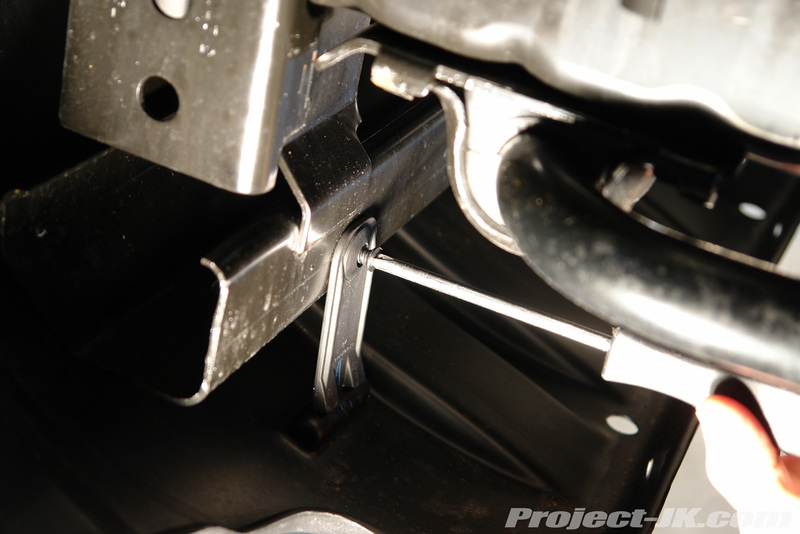 With washers placed on the 1/2″ bolts provided, reach back in between the bumper and insert them through the mounting holes. 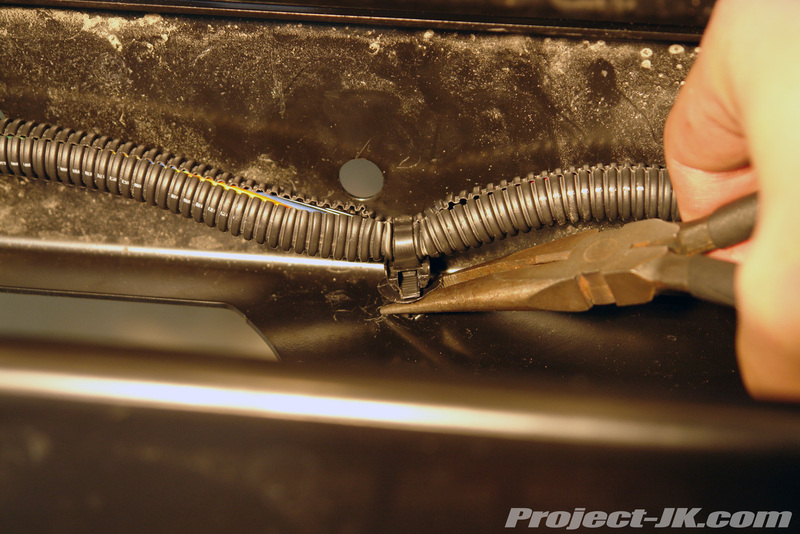 Place a washer and lock washer on the bolts and then secure everything in place with a nut. 15. 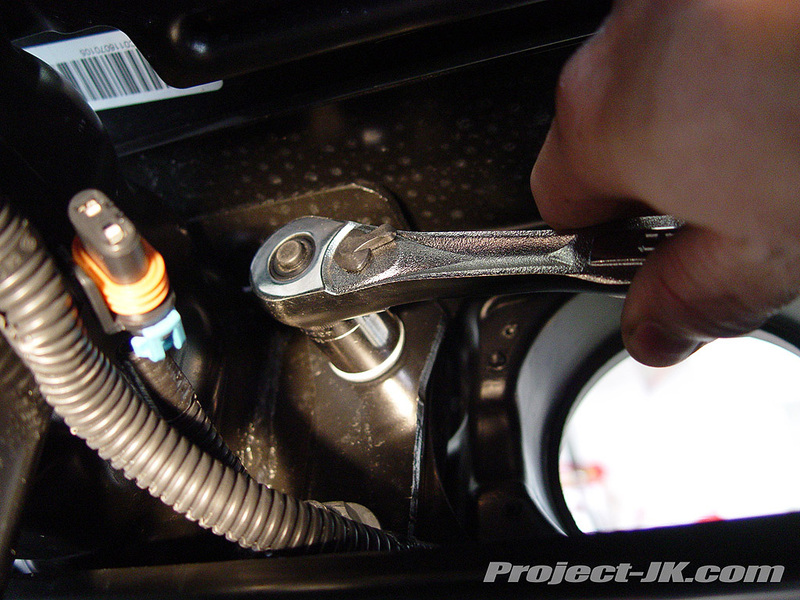 Using a 3/4″ socket and wrench, tighten down the 8 bolts and nuts. 16. If you purchased an optional winch fairlead mount, place it on top of your Hanson Stubby Front Stinger Bumper as shown. 17. Attach and secure your fairlead to the mount using the hardware that comes with your winch. The bolt and nut size will differ depending on the make. On a Mile Marker winch, you will need a 18 and 19mm wrench for this job. 18. Carefully place your winch on top of your fairlead mount and Hanson Stubby Front Stinger Bumper. 19. 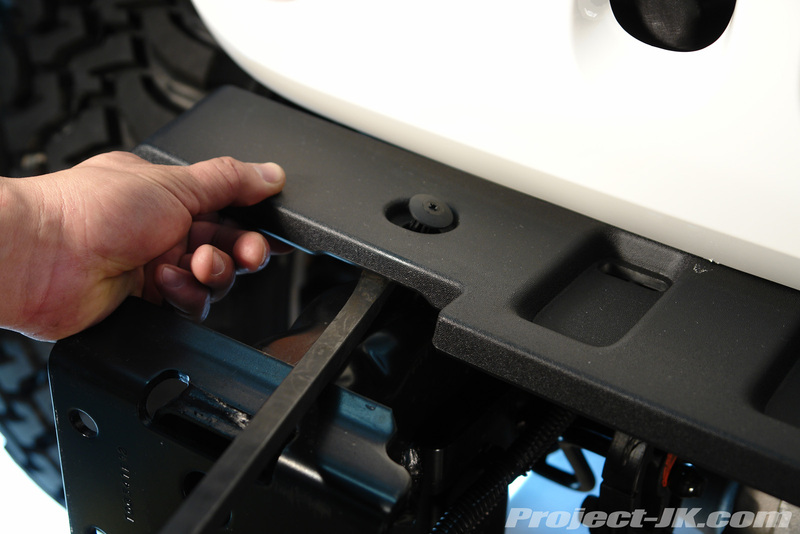 Secure your winch to your Hanson Stubby Front Stinger Bumper using the bolts that come with the winch. On my Mile Marker winch, I needed to use a 16mm socket for this job. 20. 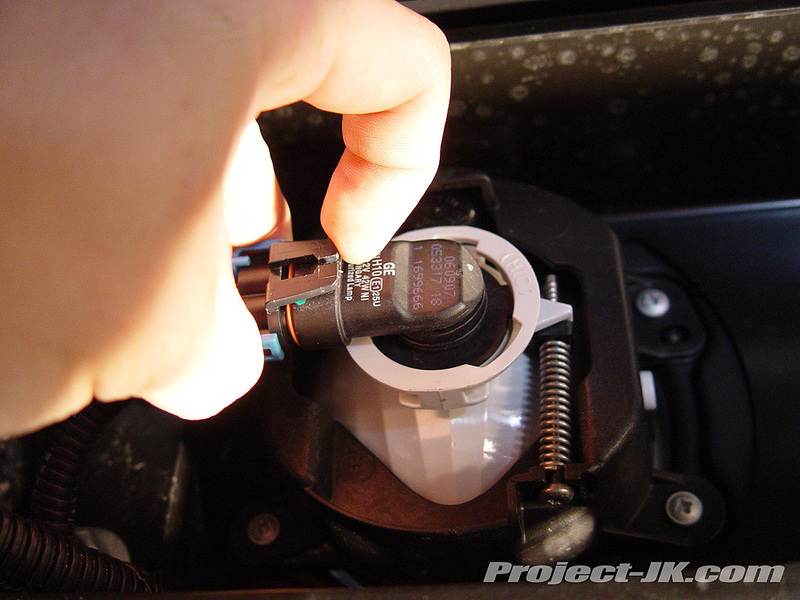 Using a 5/16″ bit, drill out the bottom 2 holes on your Jeep JK Wrangler’s factory fog lights as shown. 21. 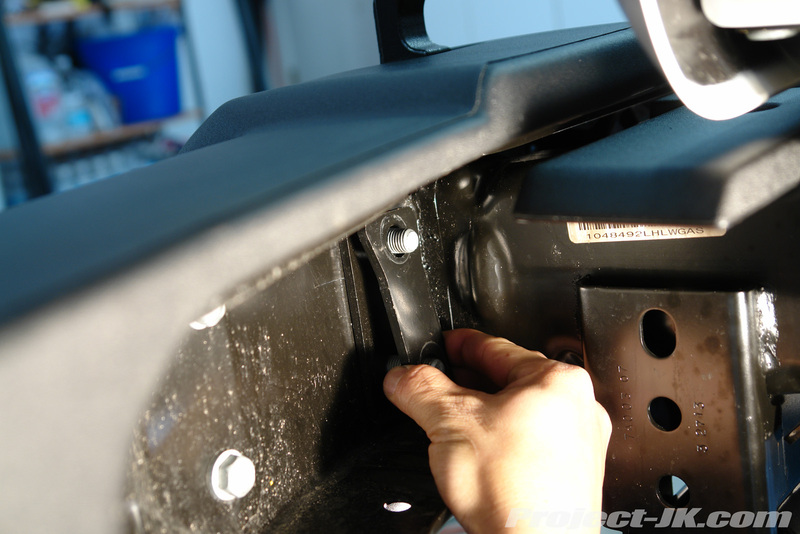 Using the 1/4″ stainless steel bolts and nuts provided, secure your Jeep JK Wrangler’s factory fog lights to the Hanson mounting brackets as shown. You will need a 7/16″ wrench and a 3/8″ allen wrench for this job. 22. Space is tight but you should be able to insert the assembled fog lights through the open space located between the bottom of the bumper and lower cross member as shown. 23. 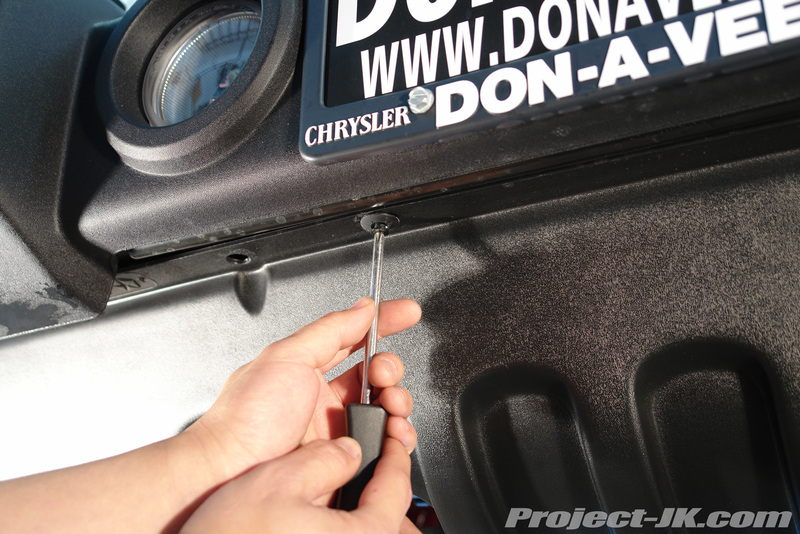 Position the fog lights behind the cutouts on your Hanson Stubby Front Stinger Bumper and then, using the 1/4″ stainless steel bolts and nuts provided, secure them in place. You will need a 7/16″ wrench and a 3/8″ allen wrench for this job. 24. 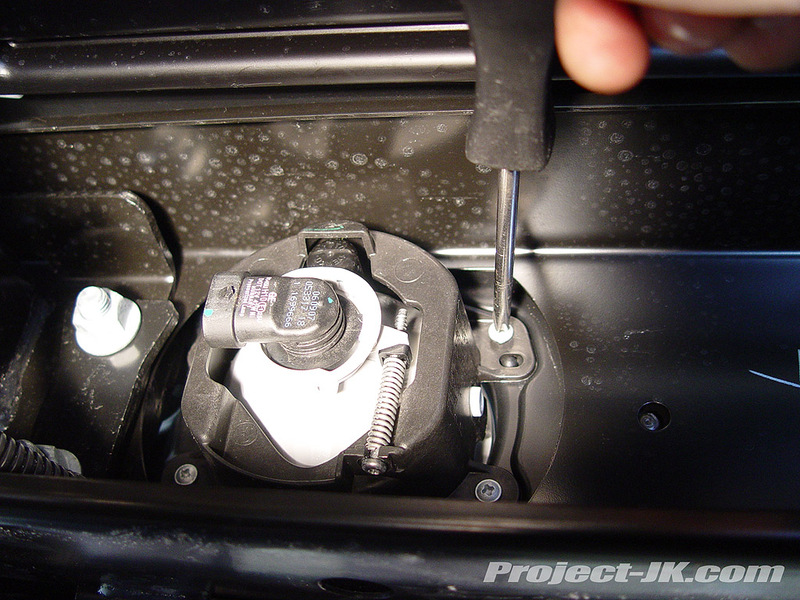 Plug your Jeep JK Wrangler’s factory wiring harness into the fog lights. 3.0″ Premium Plus SRS™ Lift System GIVEAWAY!! Step #10! I had to remove the same piece off my JK today and it wasn’t that easy at all. I think the screws and or anchors were messed up from the factory.. ended up pulling them out with a pair of needle nosed pilers! Needless to say I put something totally different back in place of them. Step #15 the bolts keep spinning when I tried to tighten it. I can’t fit a wrench to hold bolt down. Thoughts?